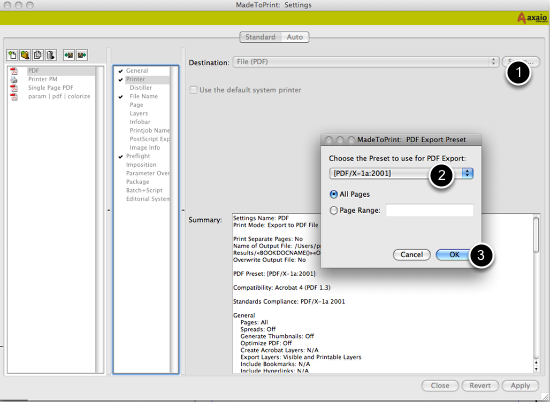 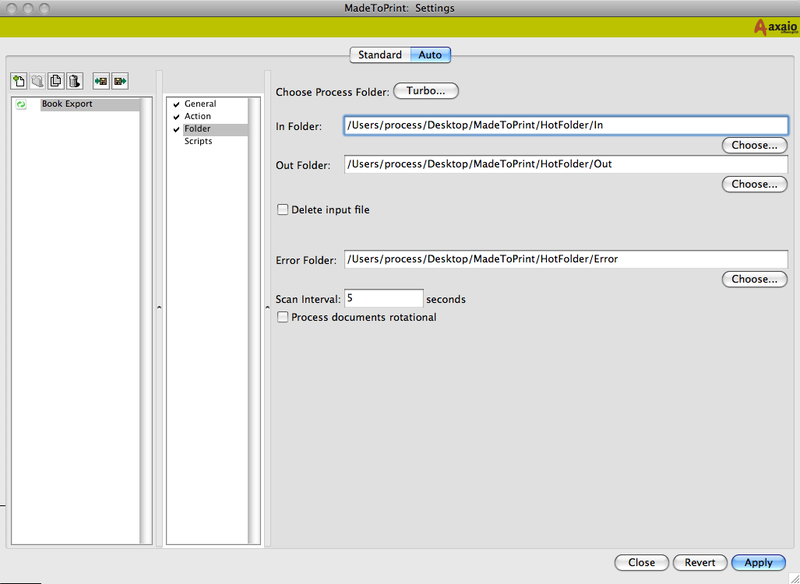 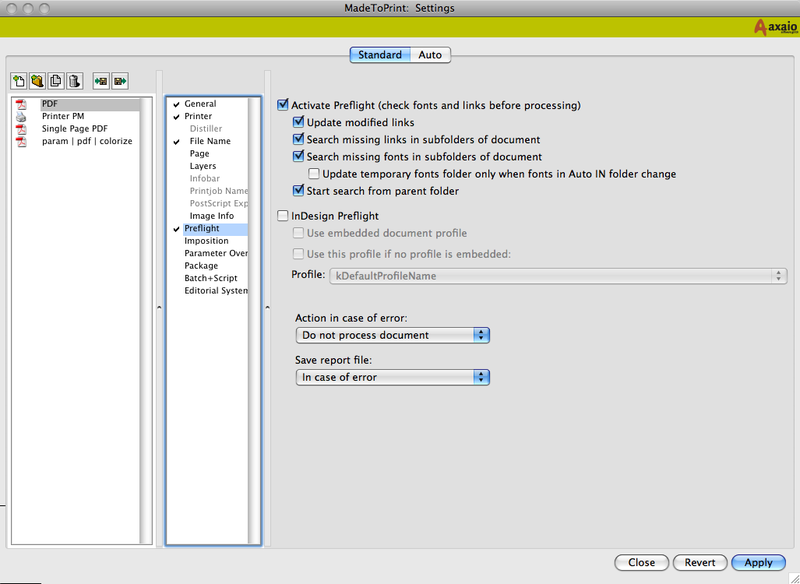 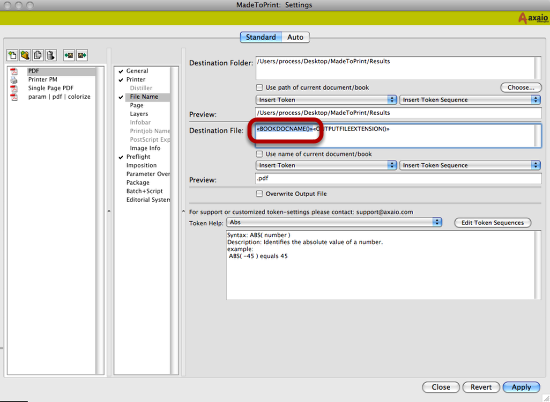 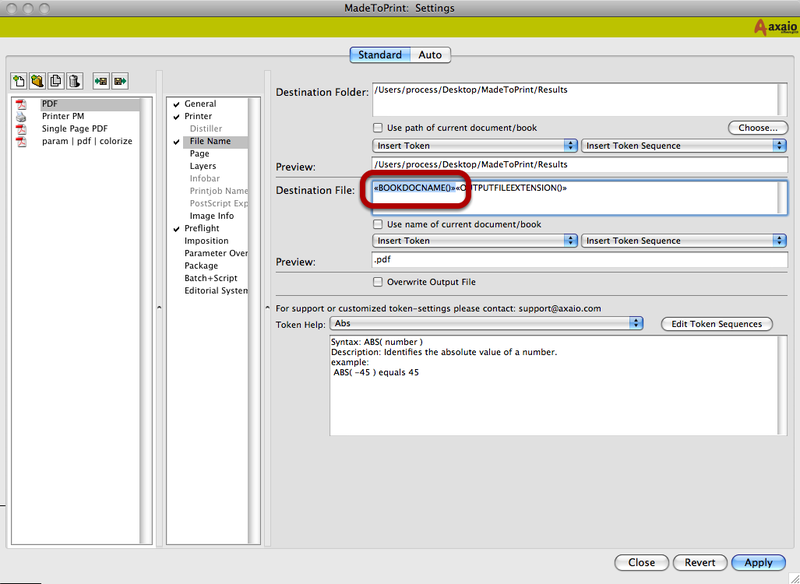 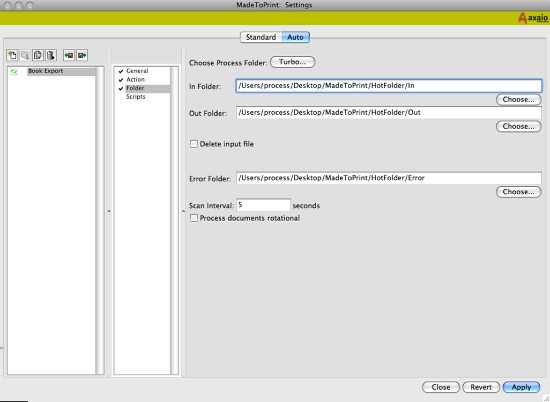 This tutorial shows that you can process InDesign Books (*.indb) with MadeToPrint automatically (hot folder based) to PDF or PostScript. Choose the token «BOOKDOCNAME()» instead of «DOCUMENTNAME()» to get the name of the book. 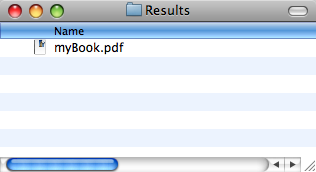 «DOCUMENTNAME()» would name the PDF according to the first Layout of the book (e.g. 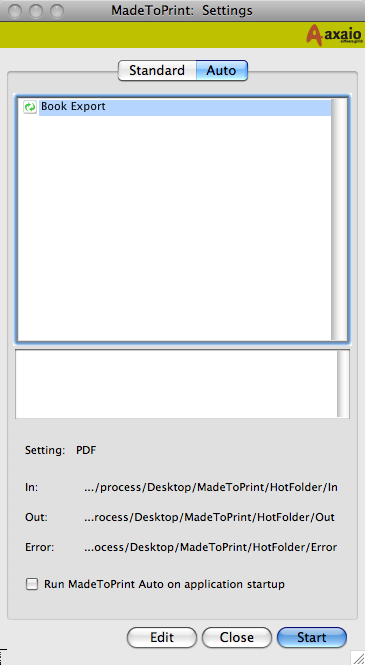 "Section 1.pdf"). To ensure the high quality update the MadeToPrint preflight. 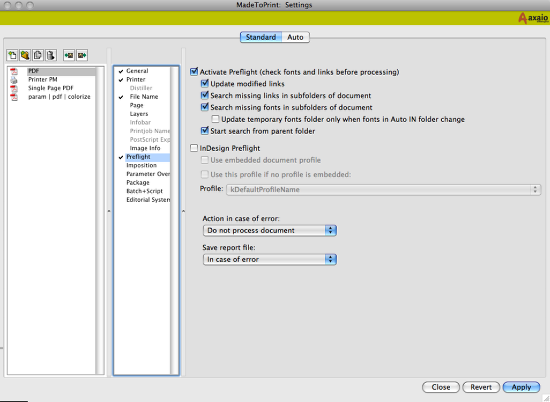 It will check if all images and fonts in the documents are available an try to load missing images from the provided package. 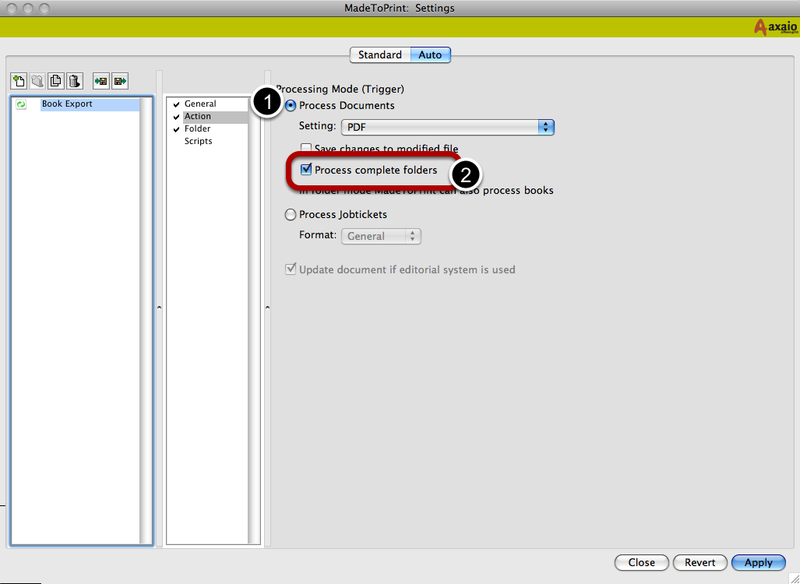 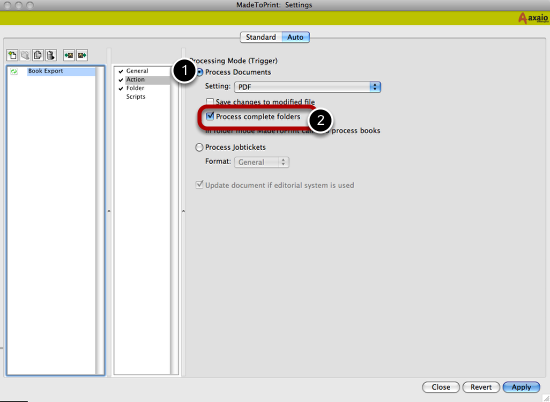 To recognize books MadeToPrint needs to trigger documents "Process Documents" (1) and must run in "Process complete folders" mode (2). 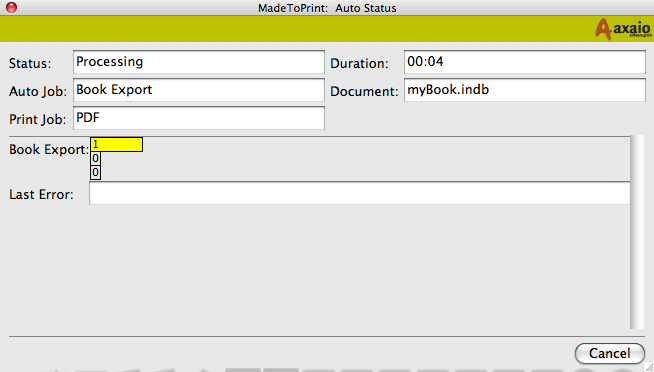 Tell MadeToPrint where to look for books. 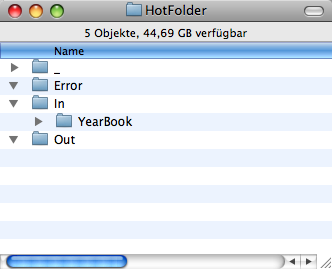 Therefore simply browse to your hot folders by selecting "Choose..."
This is a sample of how a book folder may look like. 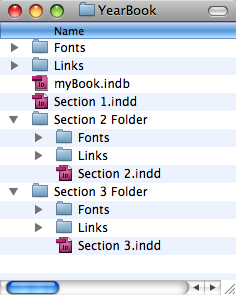 This is just a sample - the only important thing is that there is a book file in the topmost level. 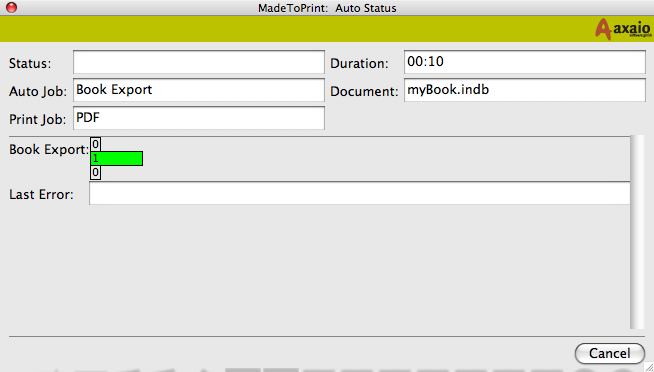 If the status bar turns green the book has been processed successfully.